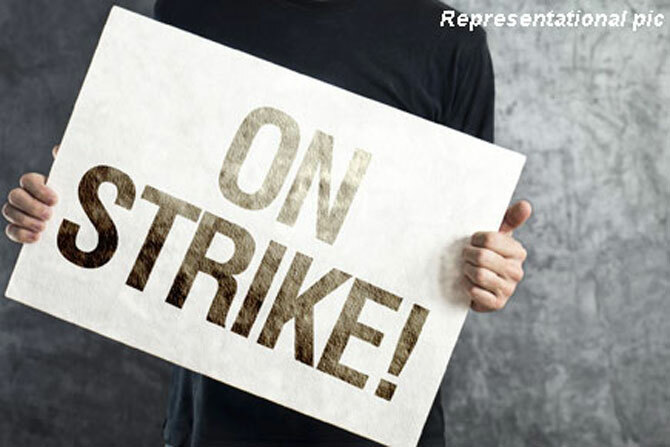 More than 10 lakh bank employees from both government and private banks will go on a 48-hour strike starting on May 30, an All India Bank Employees Association (AIBEA) leader announced on Fri. Since November 1, 2017, bank employee’s salary revision is due. Demanding early revision of wages, the United Forum of Bank Unions (UFBU)- an umbrella body of nine unions in the banking sector representing staff and officers have proposed strike starting on May 30 6 am to 6 am on June 1. “The strike notice has been served to Indian Banks Association (IBA) representing the bank management and the Chief Labour Commissioner (Central), New Delhi,” IANS reports quoting C H Venkatachalam, General Secretary, AIBEA, as saying.